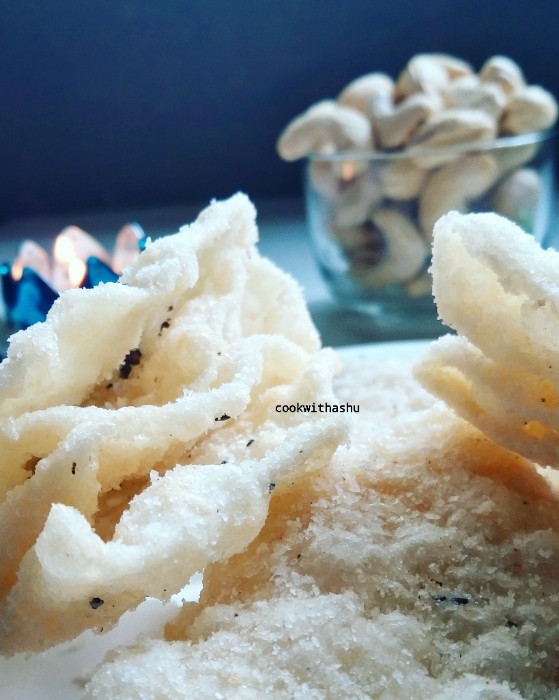 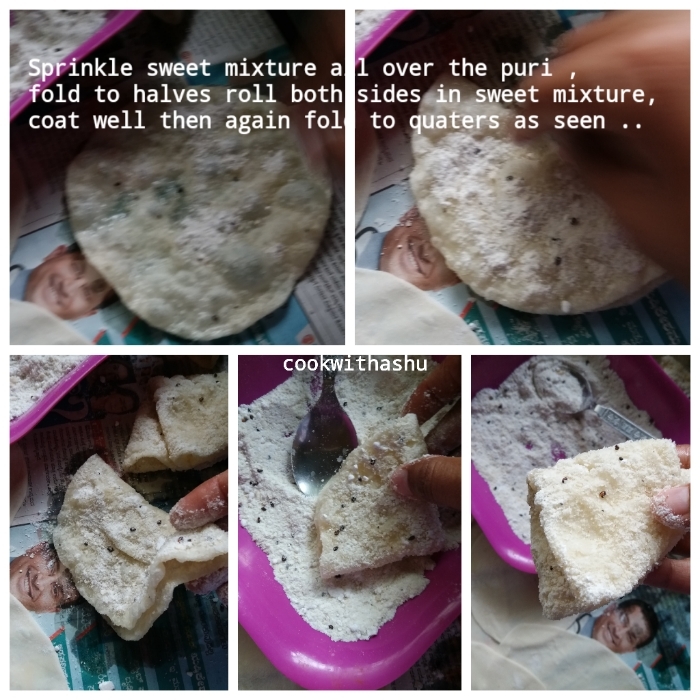 Here the aroma and freshness of mint and caraway seeds enhances the taste and adds a wonderful flavour to the dish..
Mando are thin deep fried puris ,dusted with a sweet filling then shaped to triangles…..Its very easy to make but tricky at the time of folding as you have to be quick or else it can break if left for sometime ..
•Now make small balls from maida dough and roll to thin puris using maida for rolling..
▪Now remove the fried puris on a absorbing paper and start spreading the sugar mixture as seen in below picture.. 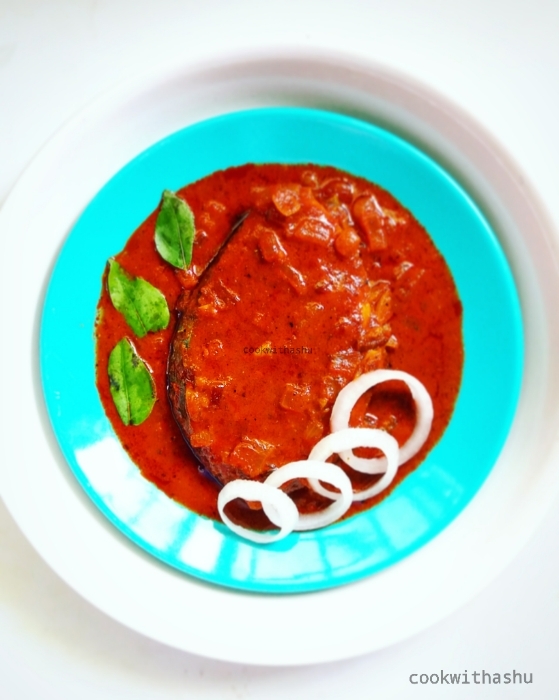 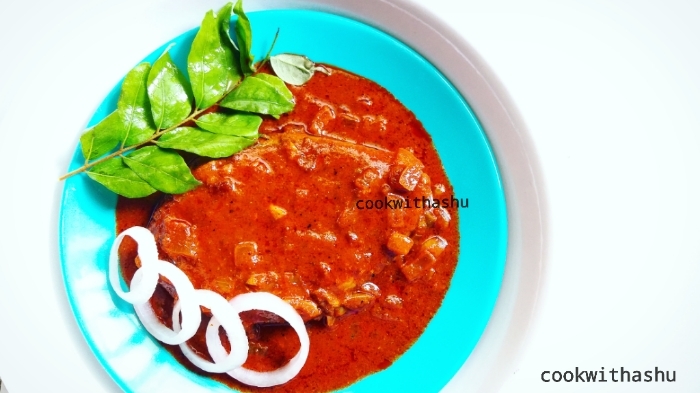 This has to be done quickly or else you wont be able to give it shape of Mando..
▪Heat a pan add oil ,add onions curry leaves and fry till onions are translucent add paste along with little more water ,and allow to boil till raw smell goes and oil starts to float on top add fish, salt (if needed) boil closed till fish is cooked, flip fish and cook the other side too..
*Make masala paste accordingly to the availability of fish,here i have used a large palm sized fish slice.. 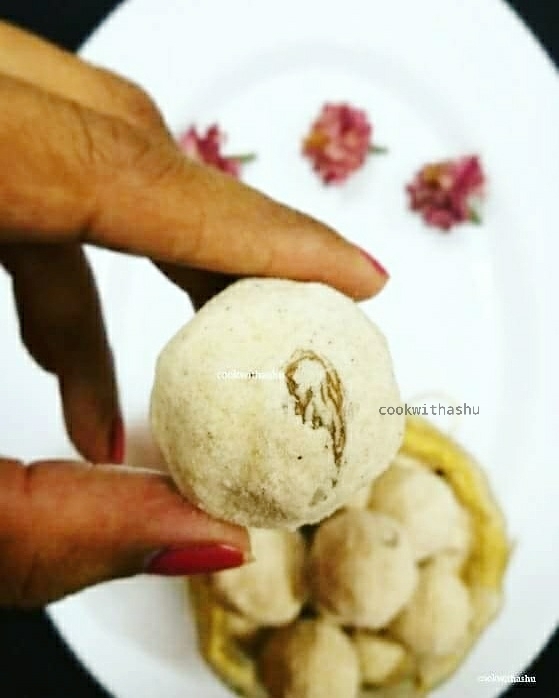 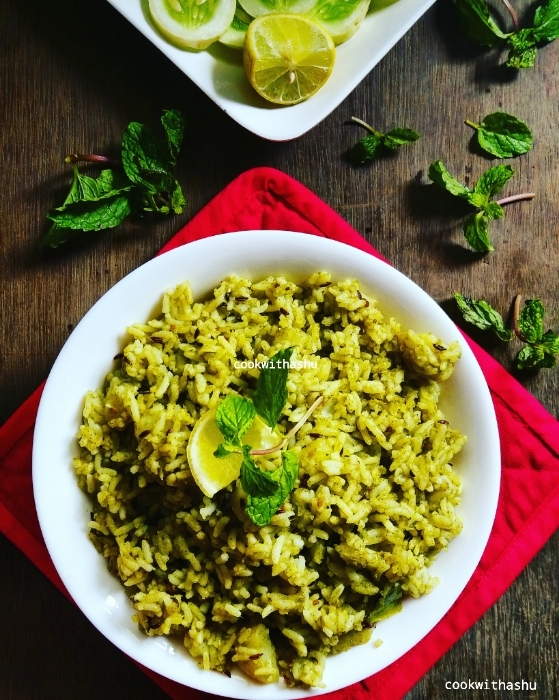 Here Goodness of wheat and ghee is combined and formed to balls using sugar powder tastes heavenly… This is a house old traditional recipe of konkanis 😍.. Love it to the core…. 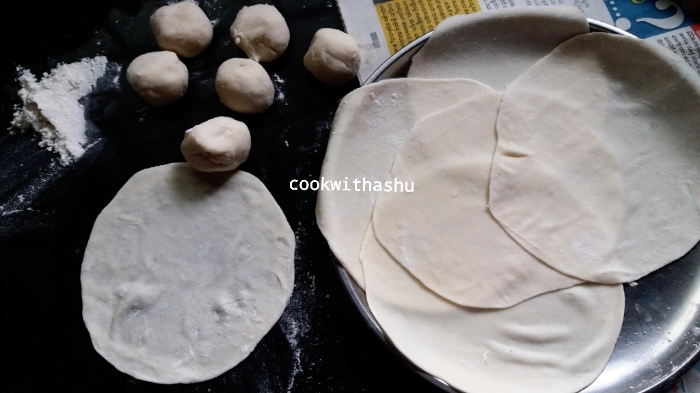 ▪Heat kadai add 4 tblsp Ghee, when melts add wheat flour and toss it till u get a good aroma ,wheat flour changes it’s colour slightly at this stage ,this indicates it’s done. 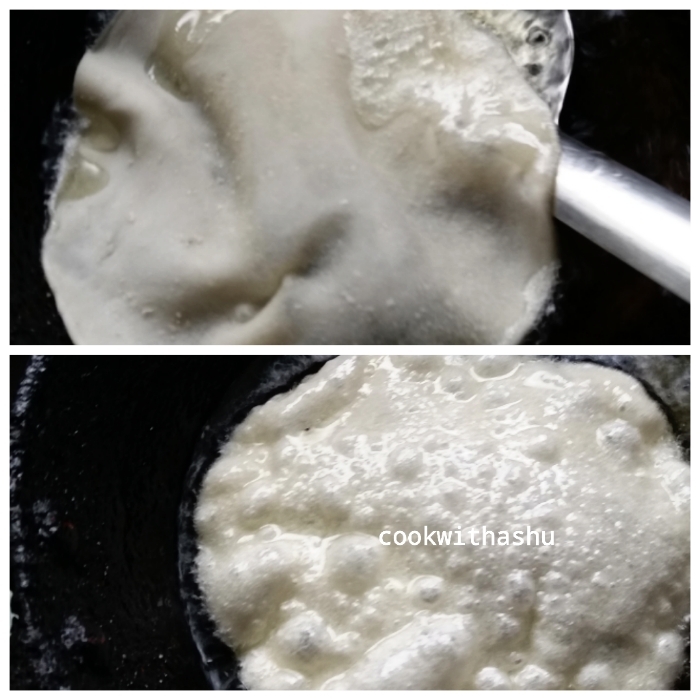 ▪You can add additional melted ghee (little by little)if you are unable to shape it. 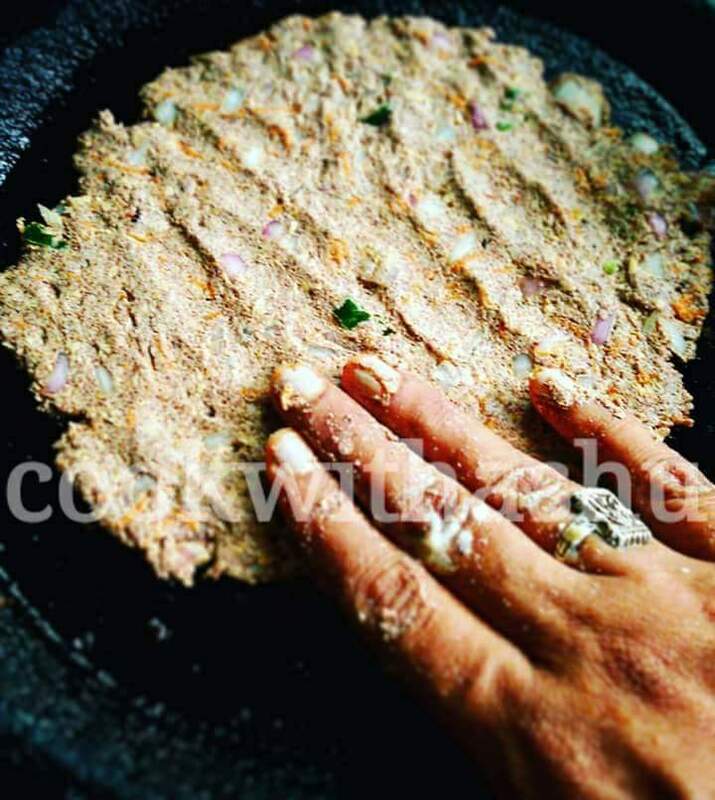 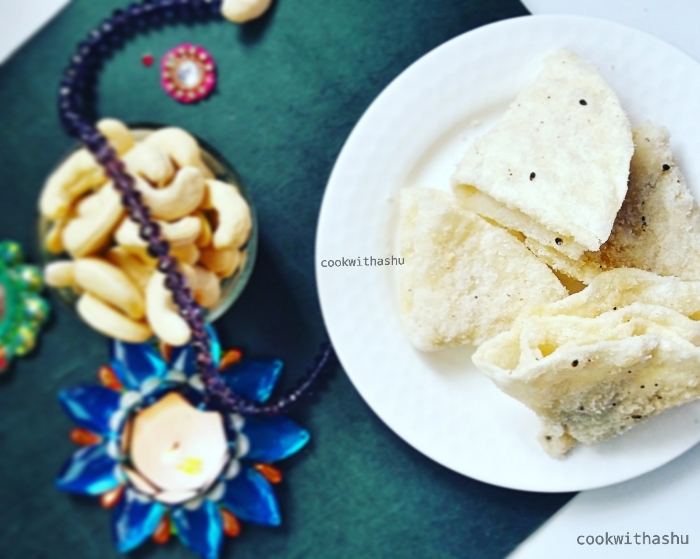 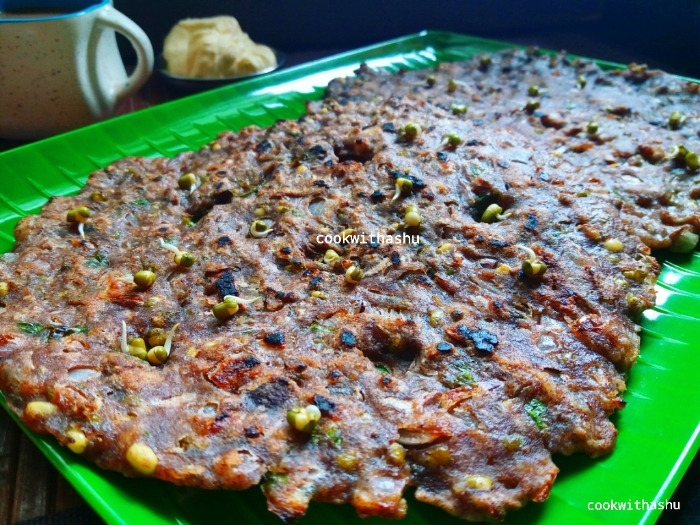 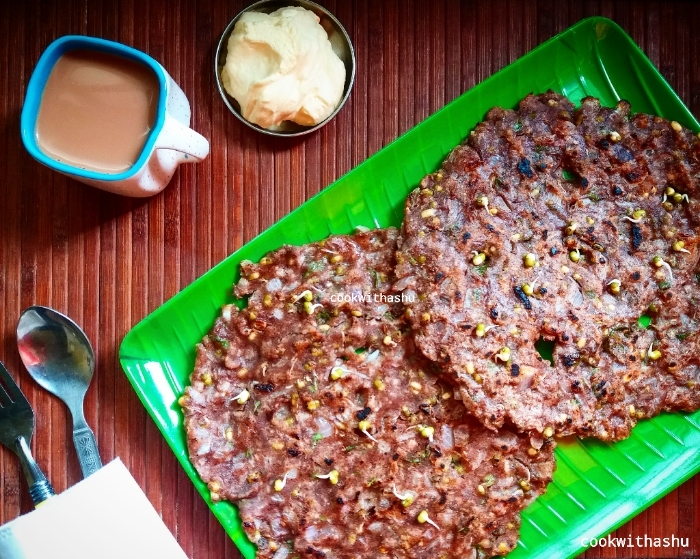 Finger Millet roti is rich, healthy and delicious breakfast and very filling breakfast recipe ..
Finger Millet is very high in calcium,rich in iron and fibre … Overall a rich and good source of food for weight watchers..
Ragi roti/bhakri is an instant recipe which can be made in jiffy 😊 here there is no need of fermenting batter can be made instantly ..
▪grease a dosa pan with oil then take a handful of dough and spread evenly and keep on medium heat,drizzle oil on top and close lid and cook till the base gets cooked ,flip roti and cook other side till done..
▪Serve with butter or Chutney or can be enjoyed as it is ..